I’ve got look one done for this challenge so far! where or even when I bought it….it’s pretty though! 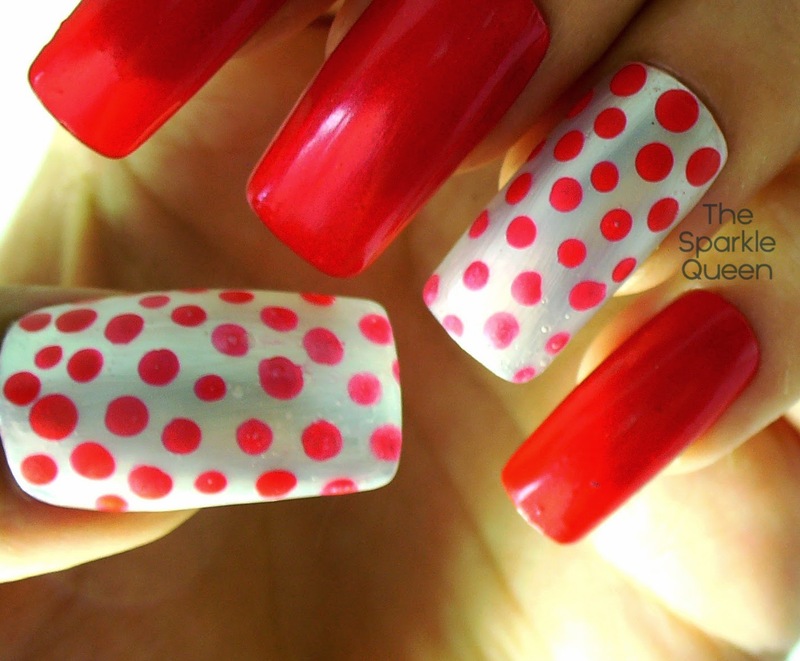 He did another one of this quick “blind pick” polish choosing’s. Wait till you see the other set I got….it makes this one look like heaven. 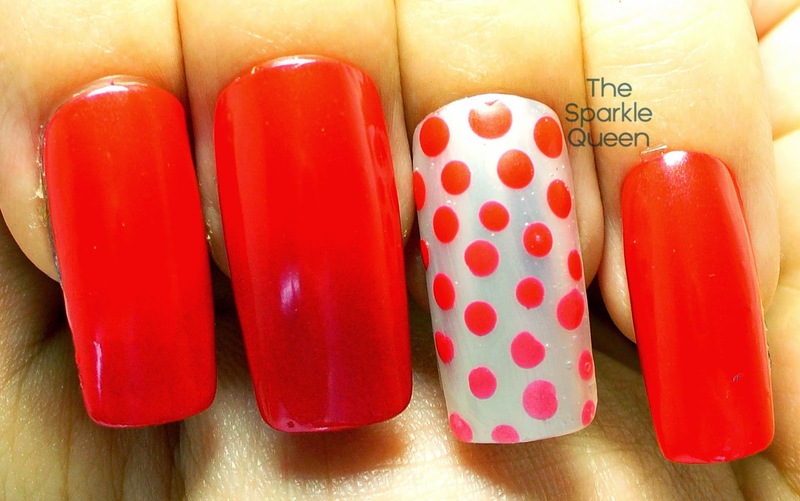 pink, or a super bright red, what you do think? I think it’s a bright red. progress in my skills, right? but I can’t bring myself to throw it away. 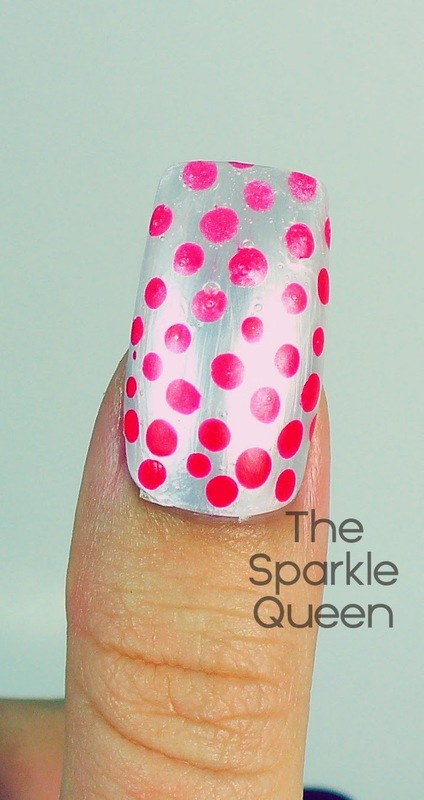 hide the pearlescent effect of that white polish. 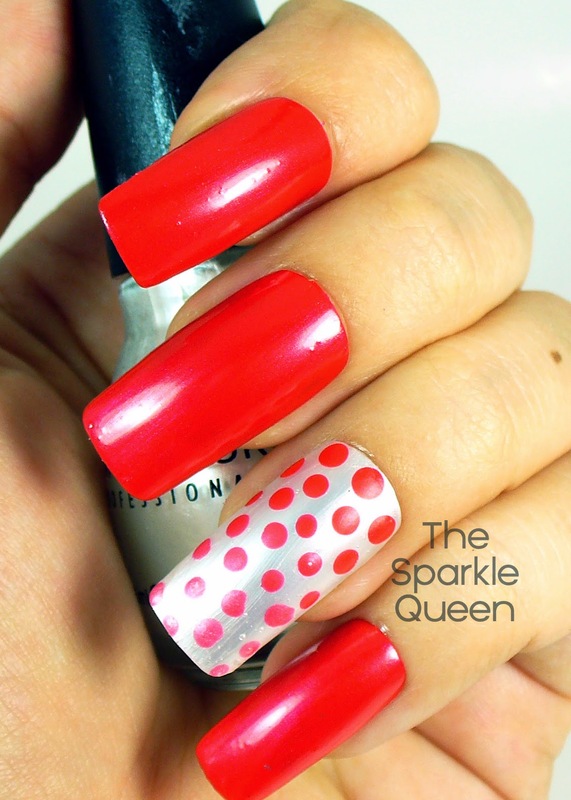 Love the polka dot accent nail! Simple, yet fun. I like it ;0). This came out super! He chose well! How bold & cool of you to share the old pic. You've come a long way baby! The colors look really cute together. 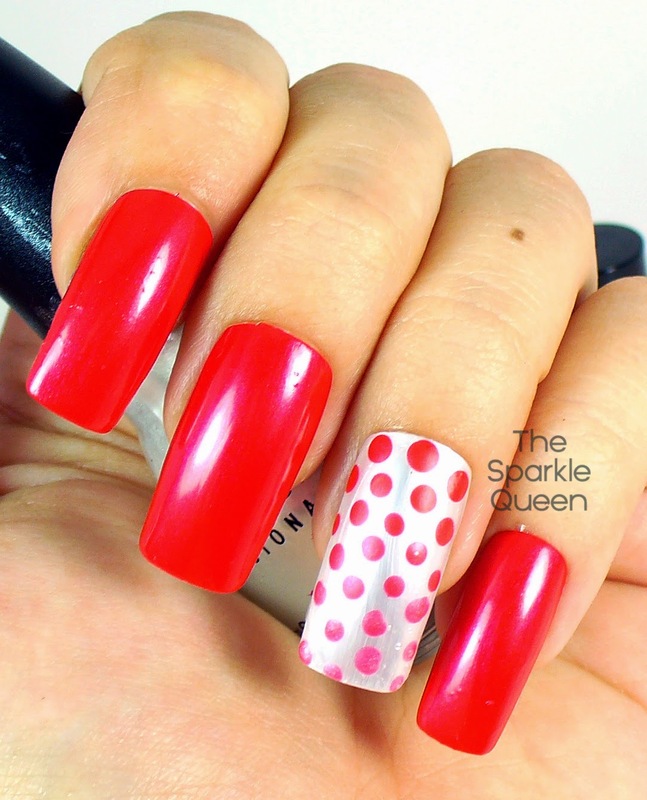 Great dotticure! This design looks so cute..! I am not at all surprised your man picked a red polish. I think mine would always pick red. I should try sooner or later.. I squee! Total vintage cute!